There are 235 posts in this topic. You are on page 3 of 5. 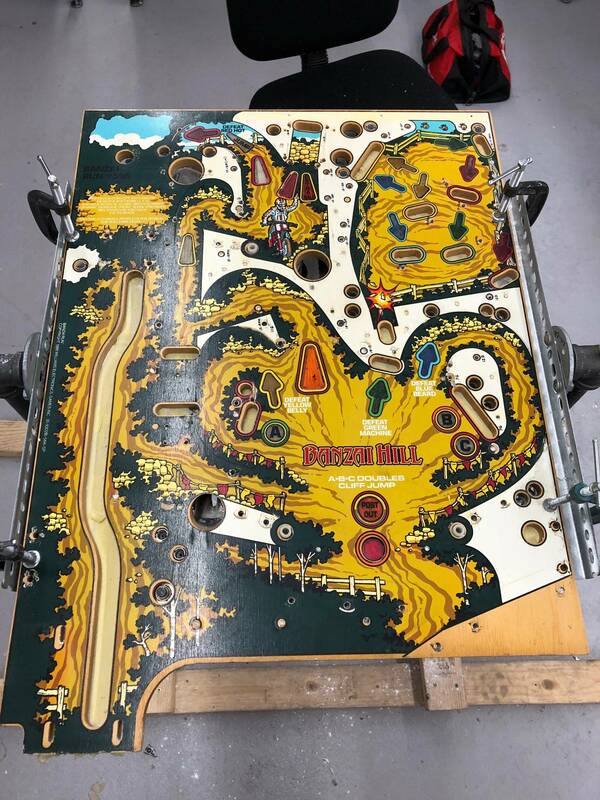 Has anyone bought the replica upper playfield translite from Republic of Pinball? How does it look? What is the quality like? This game looks incredible. I've never seen anything with a vertical play field. Hoping to play one someday. I've only got one thing to say.... Banzai!!!!!! He's moved into 1st place! I'm looking for a set of BR plastics, can't find them anywhere. Are they being remade at any stage or can anyone suggest a place I can go to get them made? 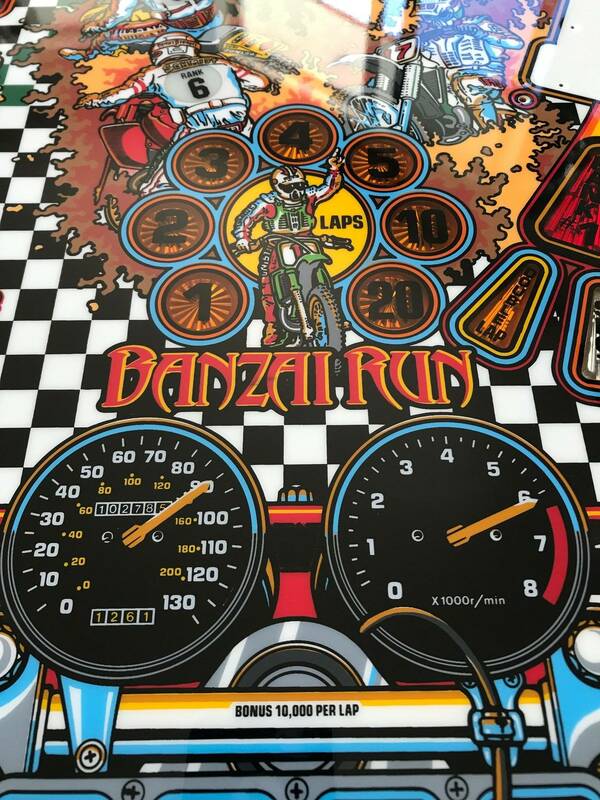 Can anyone recommend a set of cabinet decals for Banzai. I see numerous sets being sold but not sure about there quality. I really like my Banzai Run. One of a handfull of games that I would be very hard pressed to part with. I joined the club today. A minor project game, but not that bad. 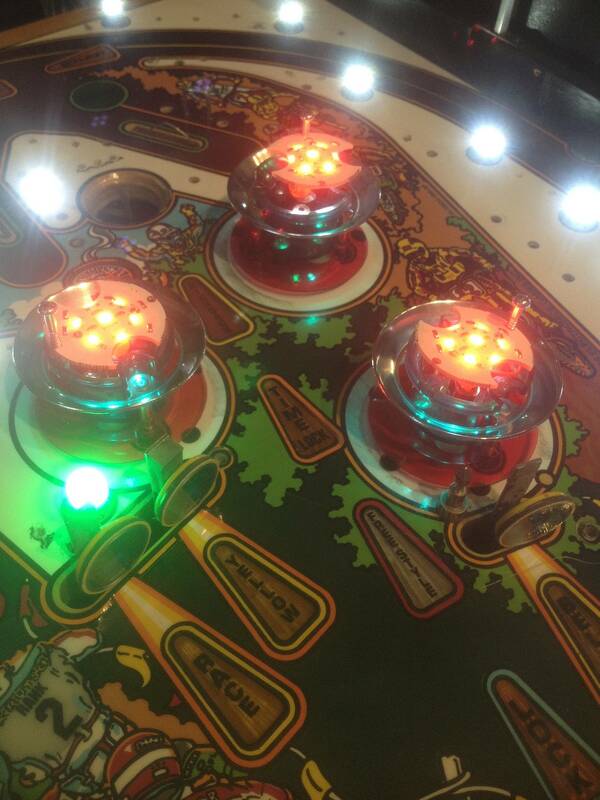 Fully playable. Cabinet need some touching up. Boards looks great and clean. 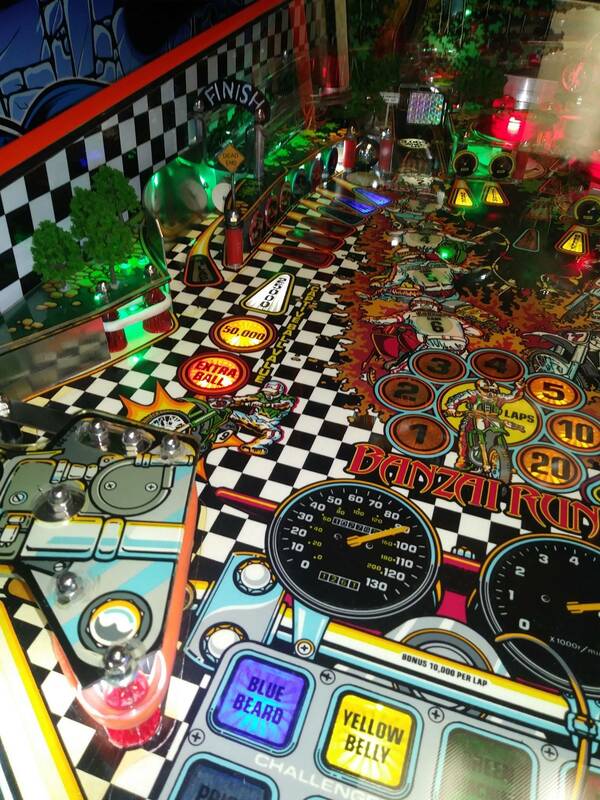 Playfield is ok - a few spots, but quite nice. 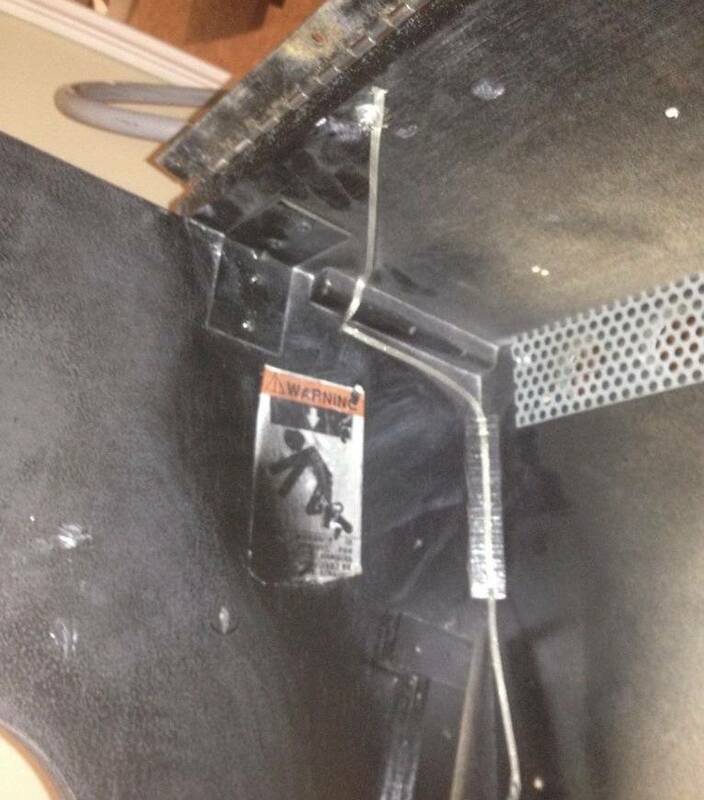 fortunatly the factory mylar was installed - mabye I'll remove it. Will need a full pf shopping and cleaning overall. Happy to add this unique classic to the collection. My right sling shot plastic is hosed. In fact, a few of the plastics are. 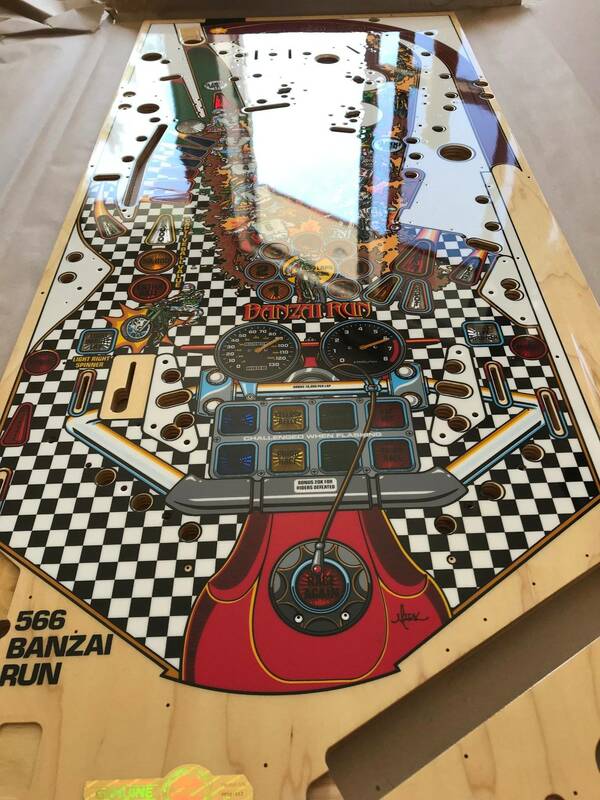 Does anyone know the shipping dimensions of a Banzai Run with the head folded down? Specifically. 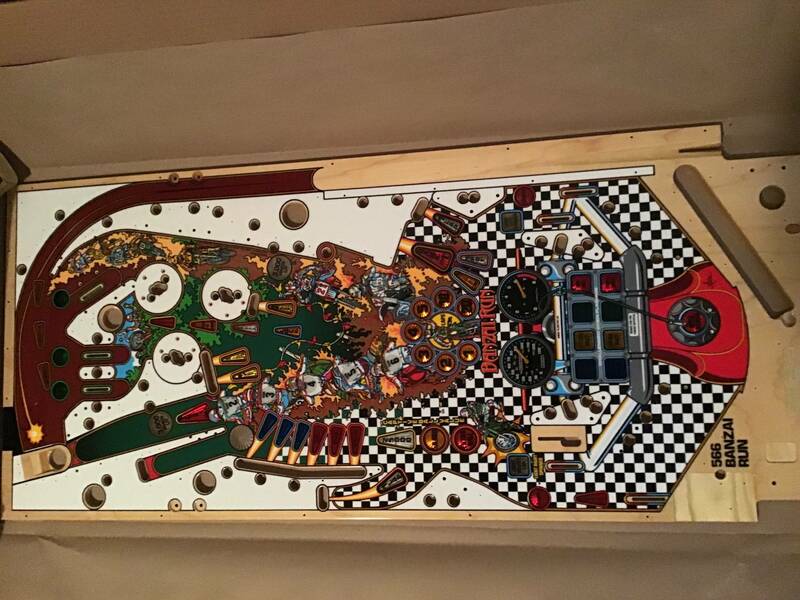 the shipping length of game, height of playfield with head folded down, and playfield width. I know the game is 280 pounds, but my concern is my hatch is not tall enough to fit the game. 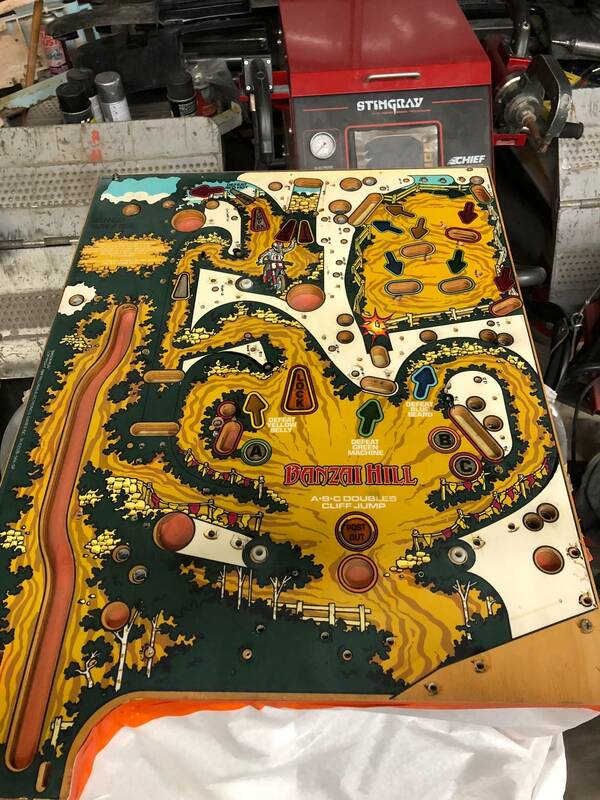 Still looking for a Banzai Run, but just trying to be proactive if I can pick the game up myself, or will it have to be shipped. Thanks all for your help as usual. I'm pretty sure the cab is the same dimensions in length as any other system 11. 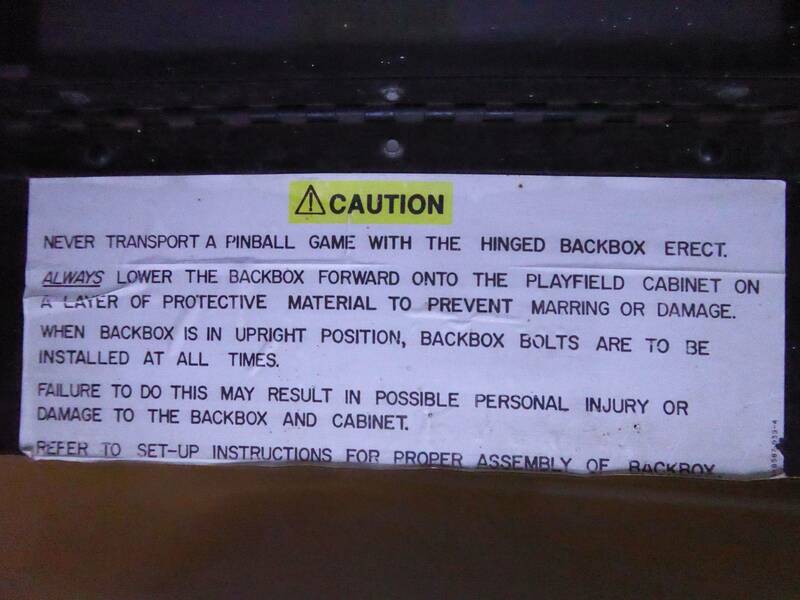 The width of the backbox is narrower than a standard one as it is only just wider than the cabinet. 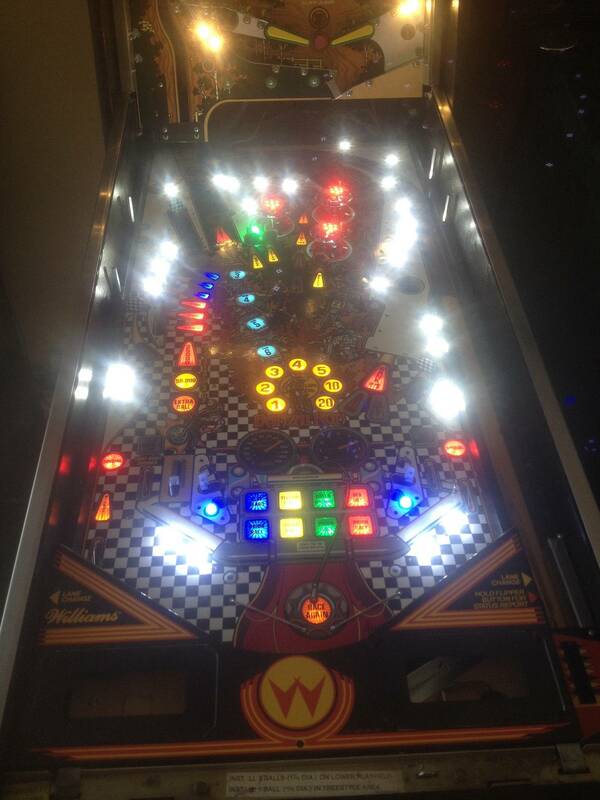 If you can fit any other pin in then the height(and weight) will be the only problem. The height of mine when folded down was 875mm which I think is about 34 1/4". Did I get that conversion right? Thank you for this! I’ll measure the opening of my Forrester just to double check height measurement with the head down. 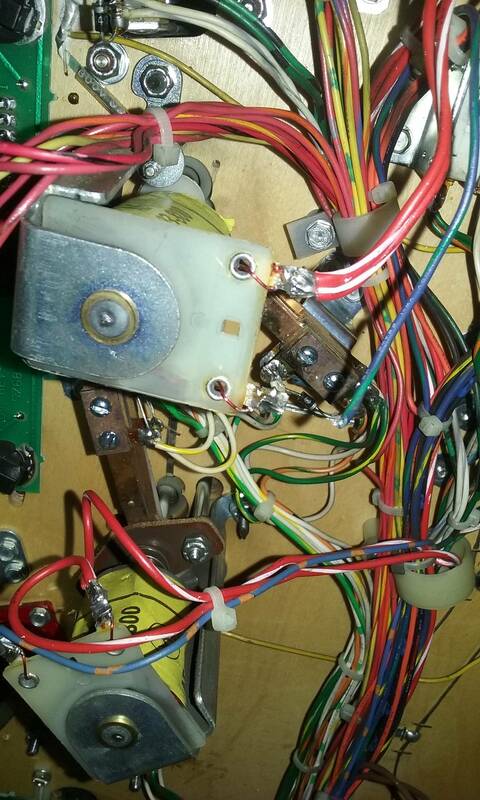 Worse case...I take off the head...is this easy or a mess to reattach and recable? 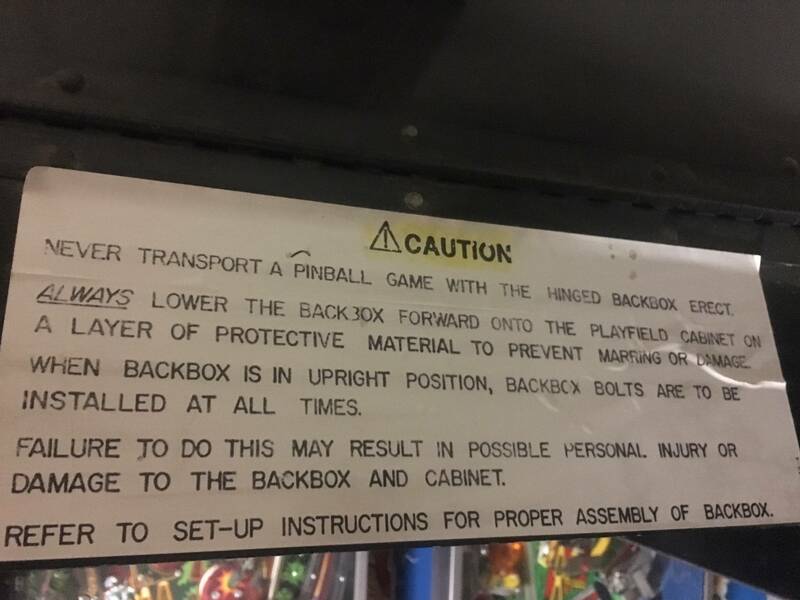 You could disconnect the back box but it would be a bit of a mission I'd suspect. But hey, you gotta do what you gotta do. 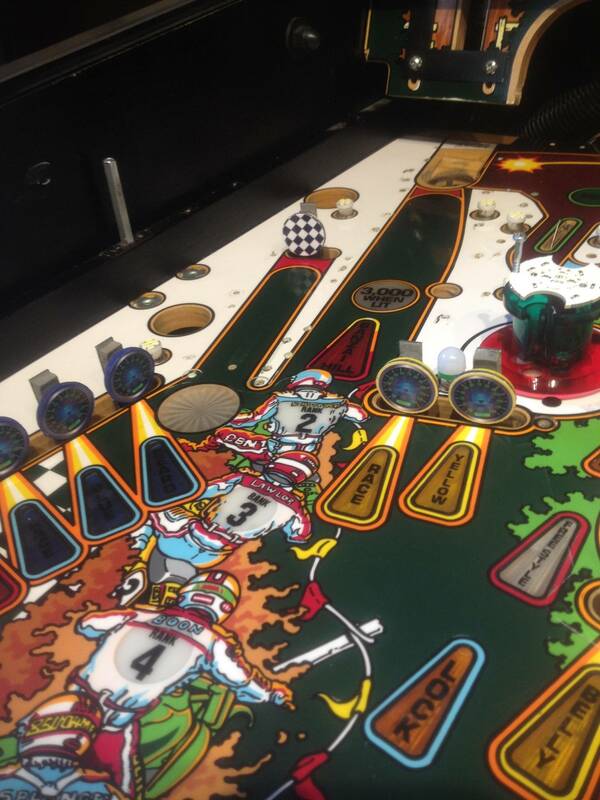 I've done plenty of crazy stuff to get a pin home. When I picked mine up I had a Honda CRV 2011. It was too tall folded up to fit in the hatch by about an inch or two. Ended up turning it on its side to get it to fit. If you could borrow a friends mini van or pickup for that trip, it might save you a lot of grief. 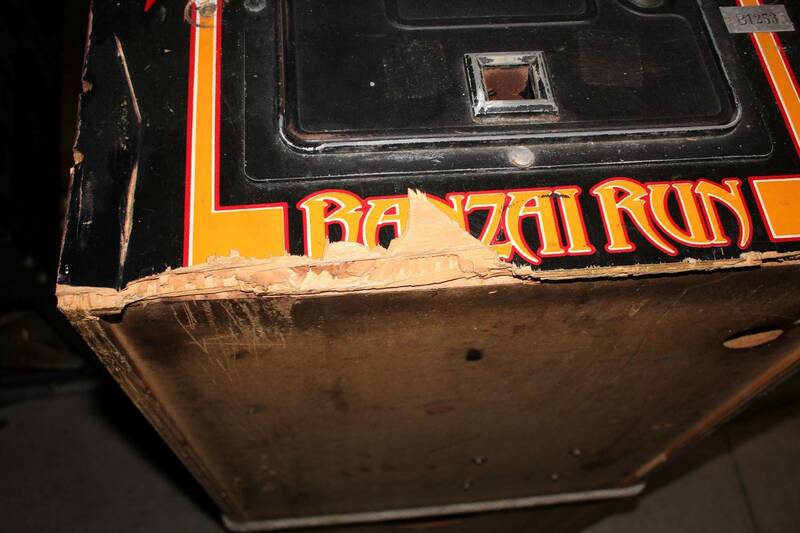 Taking the back box off of this one should be a LAST resort. When I sold my BR, the buyer came with an older model Ford Escape, and it wouldn't quite fit. Folded up, the cabinet was too tall to completely fit into the opening, so that it partially hung out the back and they couldn't close the hatch. Tied the hatch as tight as they could; luckily they only had a 30 minute drive. I'm not sure what the possibilities were, back in 1988. Maybe some were shipped with mylar and some without. 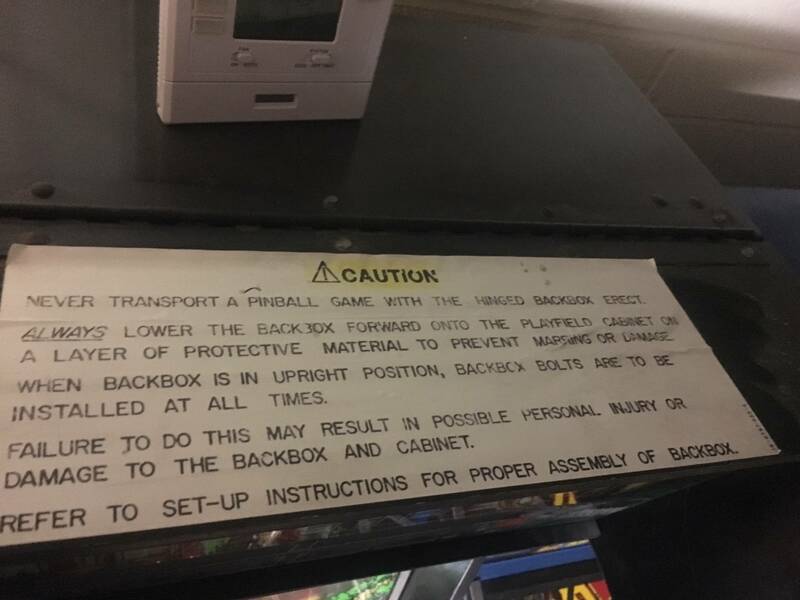 But I've also heard stories that mylar was shipped seperately with the game, so operators could make their own decision to install it or not. 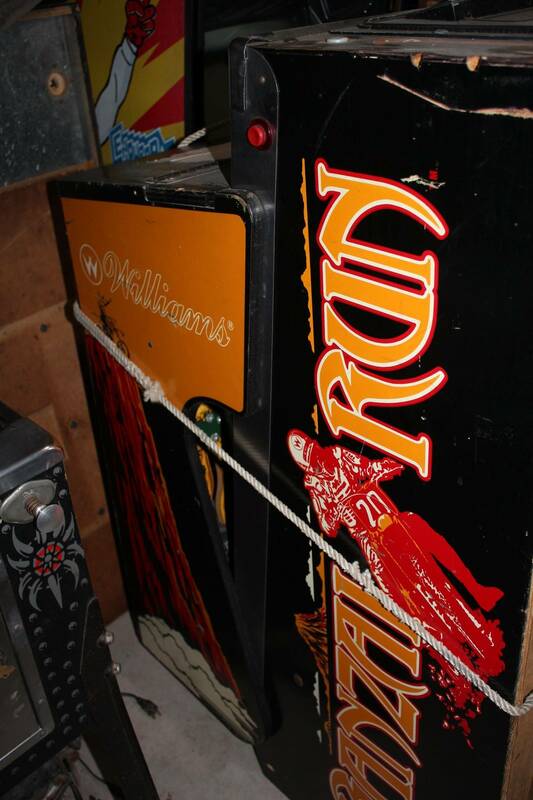 Either way, examples both with and without mylar exist (and the XR7 clearcoated sample games, of course). I actually sold my first BR fairly quickly after buying it, because that was a non-mylared game with damaged insert decals. 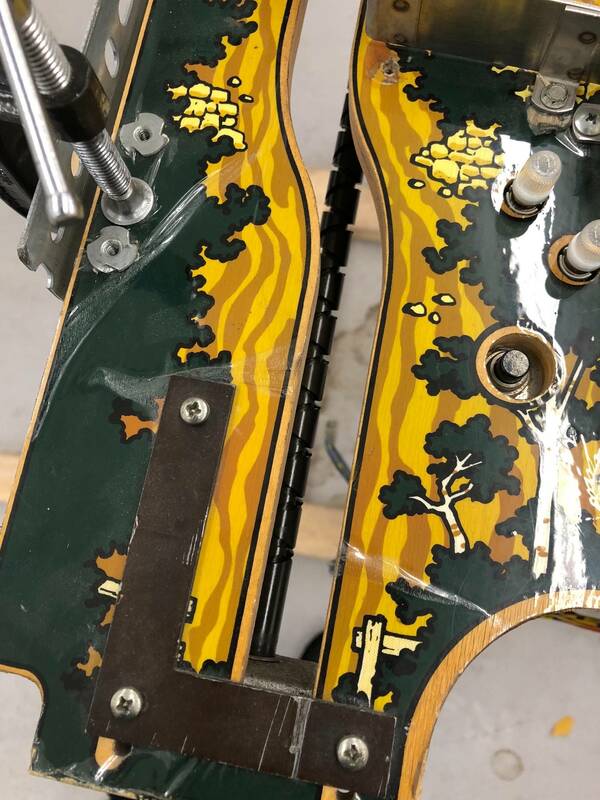 This was before the time that insert decals became available. Back then a distributer told me they sprayed the pfs with Windex and floated the mylar into position and then squeegeed it down, per buyers preference. I think they just came with the machines. Some of my early well used games that could have benefited from them, came with uninstalled sling shot mylars inside the game. 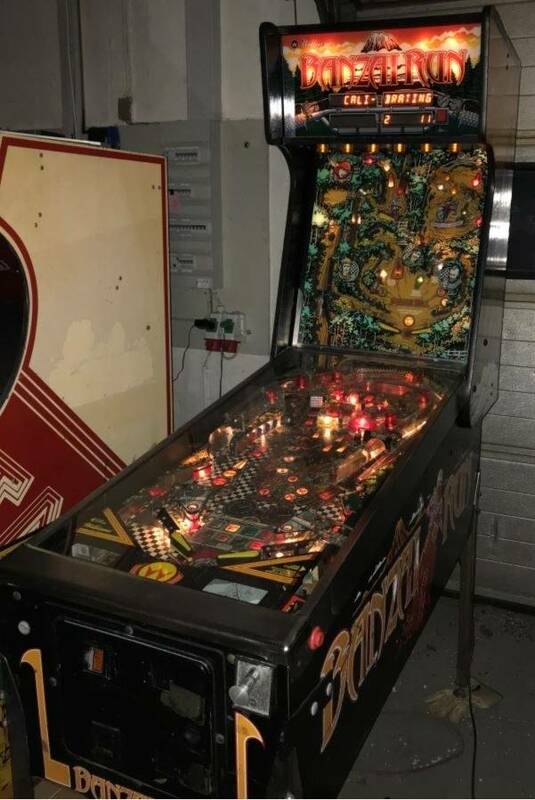 I'm very new to pin side, and had to ask another group how to join. As they welcomed me and explained the strict joining requirements, I could be a charter member of this group. I've owned mine over twenty years. 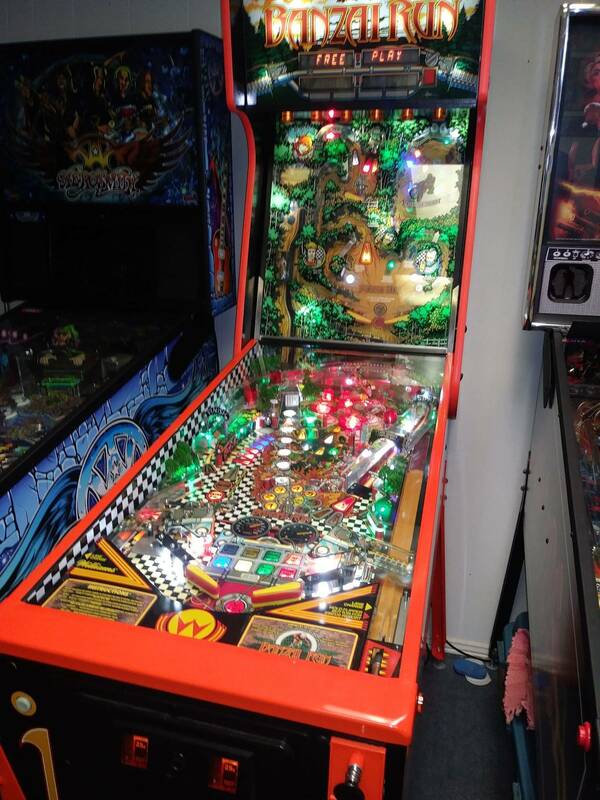 Pf is mylared, BG excellent, cabinet nice except for (see pictures ). Now back when I was building my collection it wasn't hard to find games in great condition. Of course I was disappointed but bought it thinking, it will do until I find a better one. 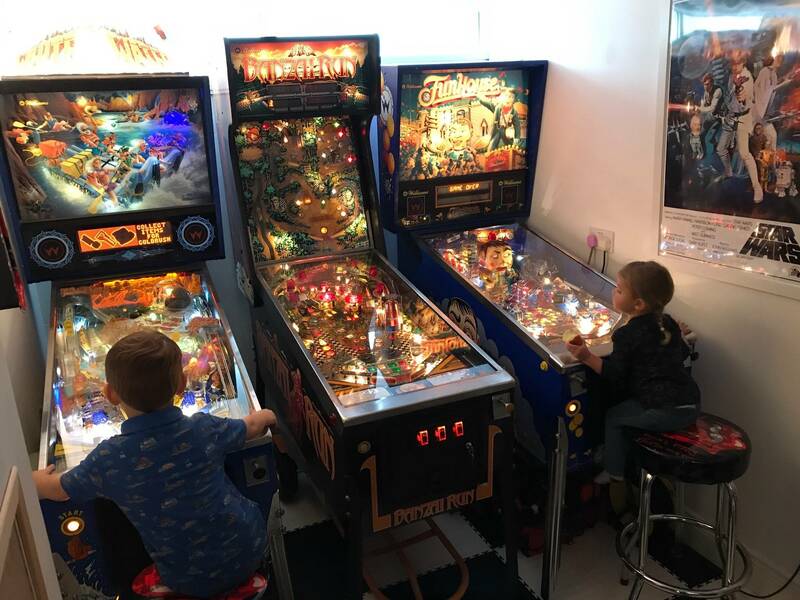 I never had another opportunity, except at pinball shows, where they were always priced beyond my means. I have now given up my quest for perfection. I really appreciate what others are doing to theirs. 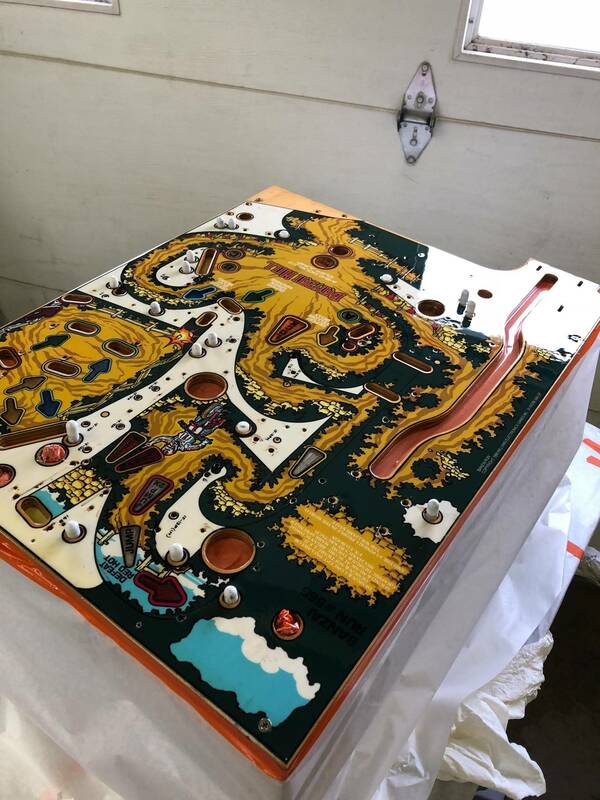 I look forward to setting it up again and playing it as is. 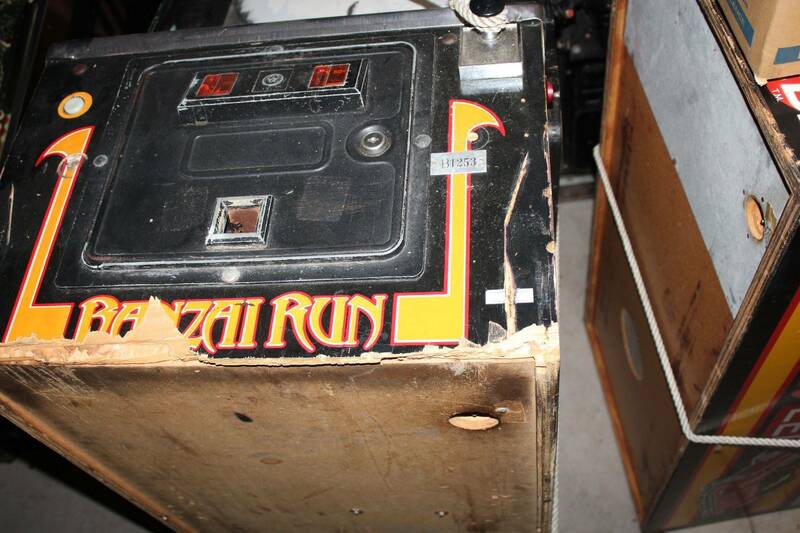 I'll leave it to the person who pries it out of my dying hands to do a full restoration. Folded up, the cabinet was too tall to completely fit into the opening, so that it partially hung out the back and they couldn't close the hatch. Tied the hatch as tight as they could; luckily they only had a 30 minute drive. *sigh* Just measured my Forrester and I got only 32 inches of clearance ... at best - at its widest height. Thank you Hammerhead and Boof-ed for the 35" reality check. Now I need a plan B as I hate to trust a nice BR to the whims and wilds of a trucker. 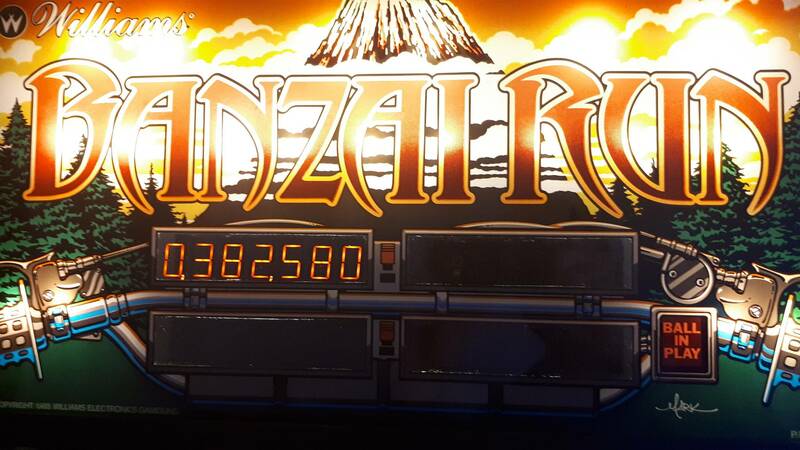 I know this is not best practice, but when I bought my Banzai Run 20 years ago it was my first pin and didnt know any better. 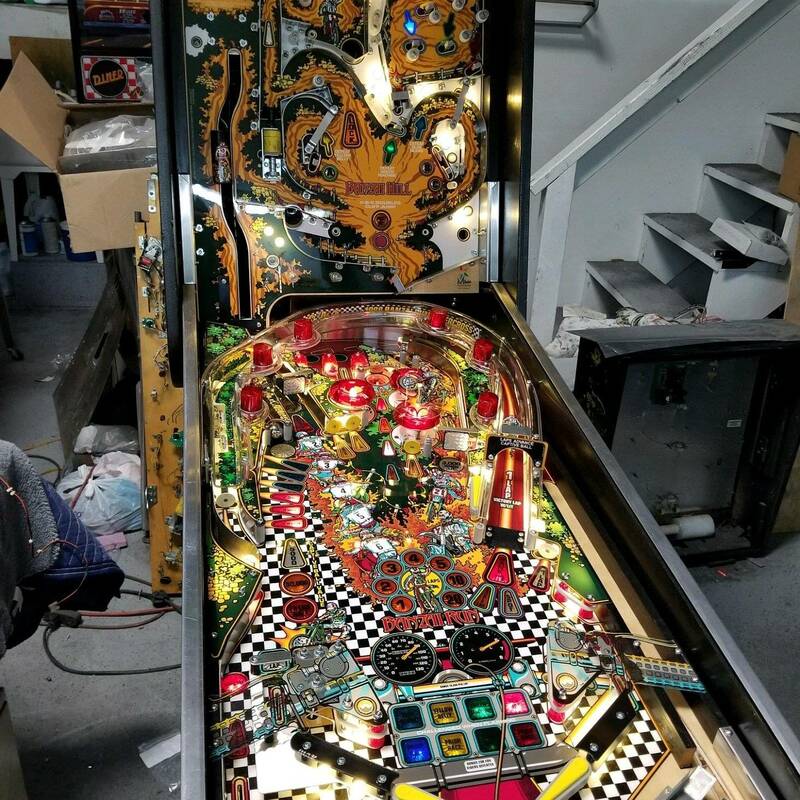 I removed the legs, balls, and with backbox down, put it in lying on its side. Drove 2 hours with no issues. Make sure you have good protection underneath the side. 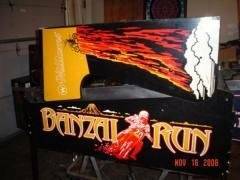 Just for the record, if you lay a BR on its side, what is the maximum height of a Banzai Run? Can someone please measure the widest part of BR's head? kimber, I never even thought to move the game sideways. Thanks for the out the box thinking. 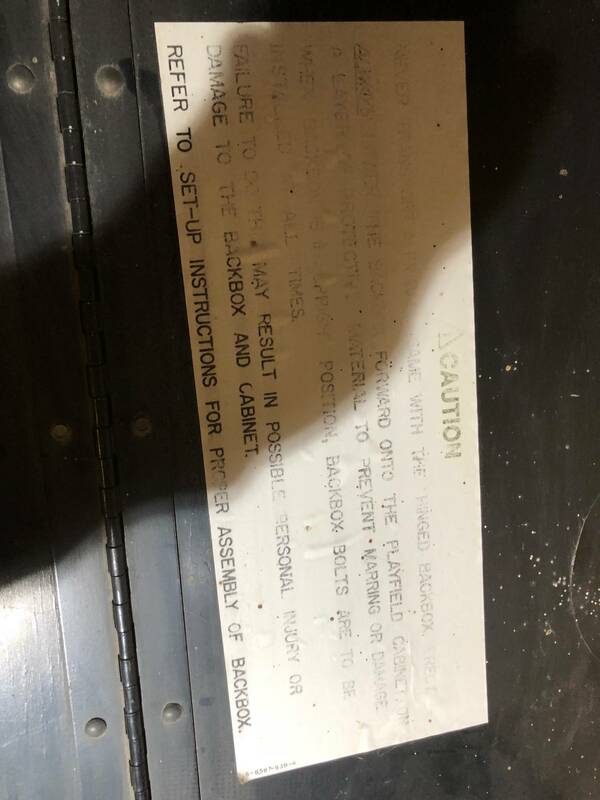 I'll post on the general forum if a system 11 can be shipped sideways for 400 miles with no issues and report back. Maybe the ship sideways idea would work specifically with BR because since the head is about the same width of the body it will lay reasonably flat. I do see one major downside in shipping a game sideways though, and that is the BR will have to be manhandled more average ... not just a simple matter of sliding game in and out and put on legs. Thanks in advance for the logistical input folks. 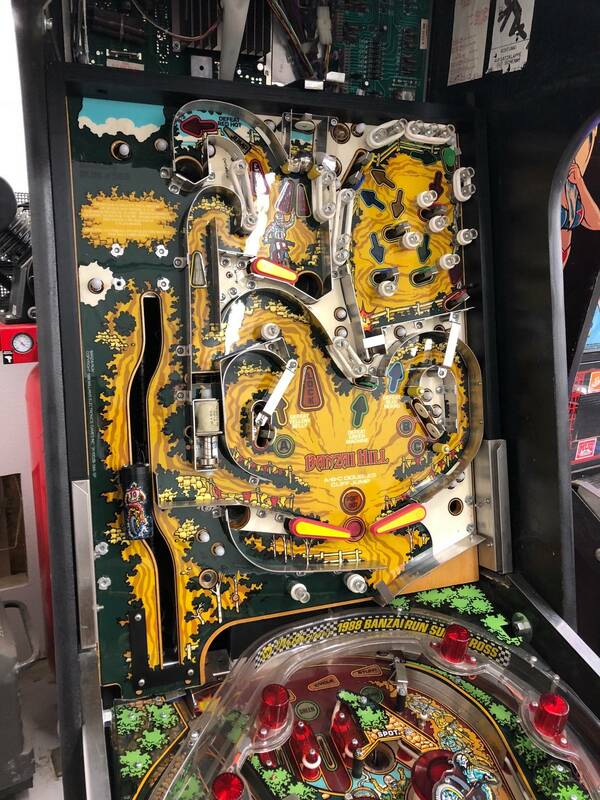 I was trying to sell my game but had a weird issue with the upper play field where a previous owner at some time applied a Mylar type of film on it and it started to wrinkle up. My dad suggested that we pull the film off and clear coat it. Luckily we pulled off all the film without losing hardly any paint. Here’s what it looked like before we started. After taking the film off we found that there were a few inserts that had decals applied previously also. We had to do a few minor touch ups but it wasn’t that big of a deal. We got the first coat of clear on and it looked pretty good. We probably could have got away without clear coating it but we have the means to do it easily so why not. It came out pretty good and looks good in the game. There are a couple things I’m not pleased with but it’s whatever. It looks better than wrinkly film. Yeah it was weird. It wasn’t think like Mylar usually is but still thick enough to protect? Ether way it’s gone and don’t have to worry about it anymore. Now I just need to decide if I want to do the bottom pf now. There are a few broken plastics that would be nice to find too. Has anyone ever had the Hill rod motor open to regrease? 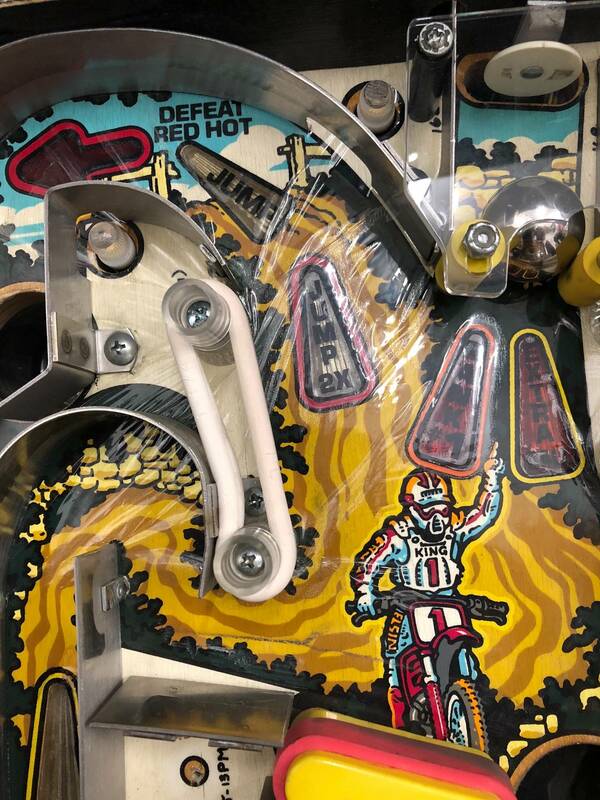 I am replacing a fried jet bumper coil and my picture shows the red wires on one coil on the left leg while the neighboring coil has that red wire on the right-side leg. 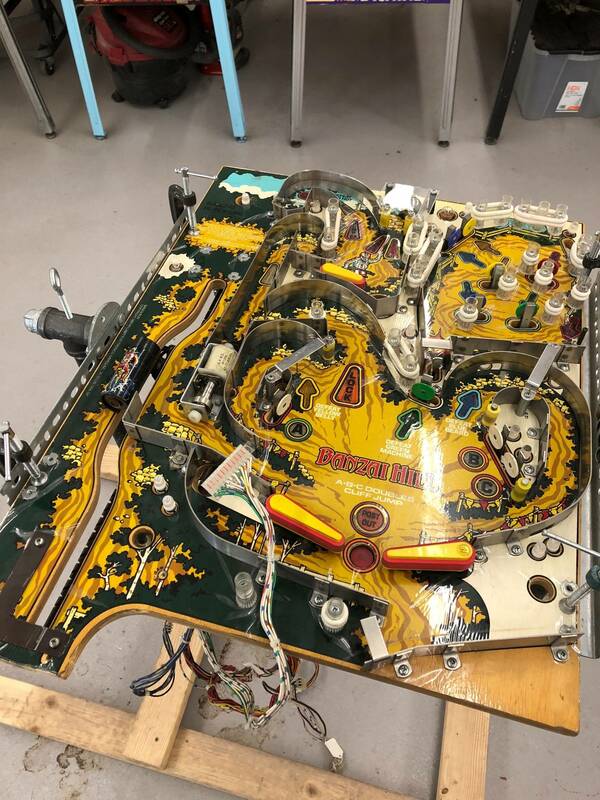 The problem was caused by the playfield protector not being fully aligned and the jet bumper skirt got trapped underneath it causing the coil and associated Q77 transistor to lock on. Both need to be replaced. 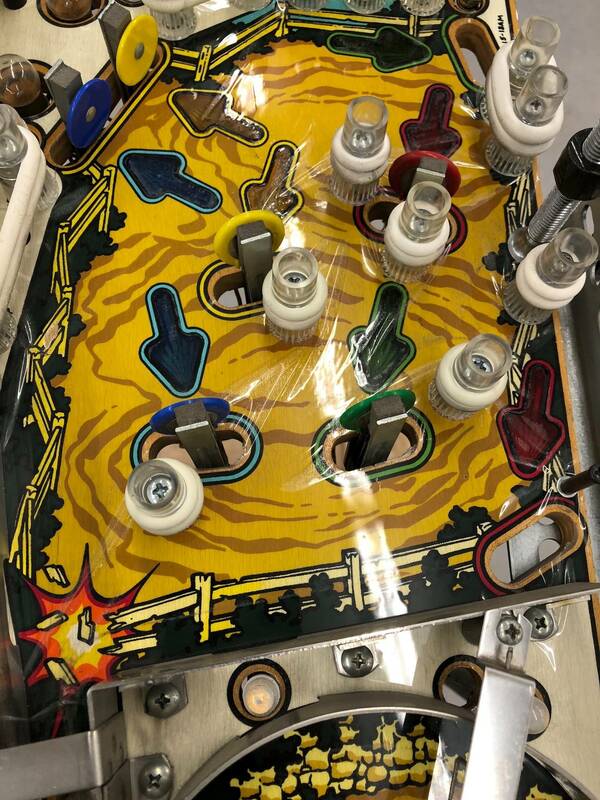 In the one picture I have already pulled the blue wire. 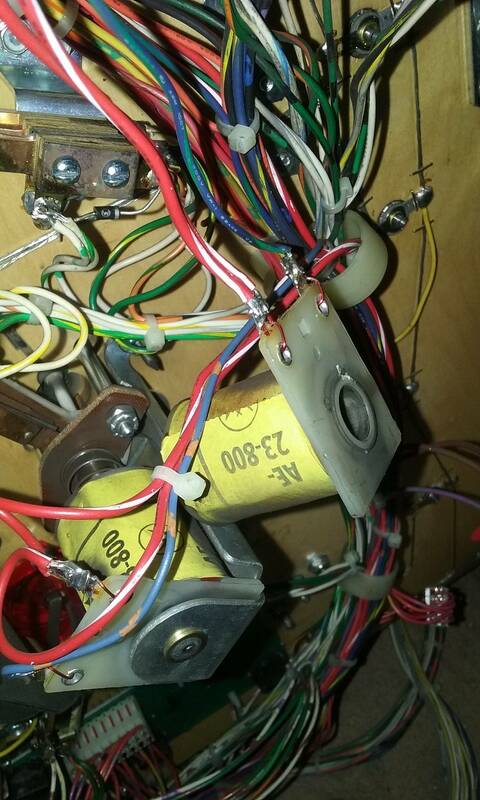 It appears to be original wiring. Can anyone compare to their alignment? 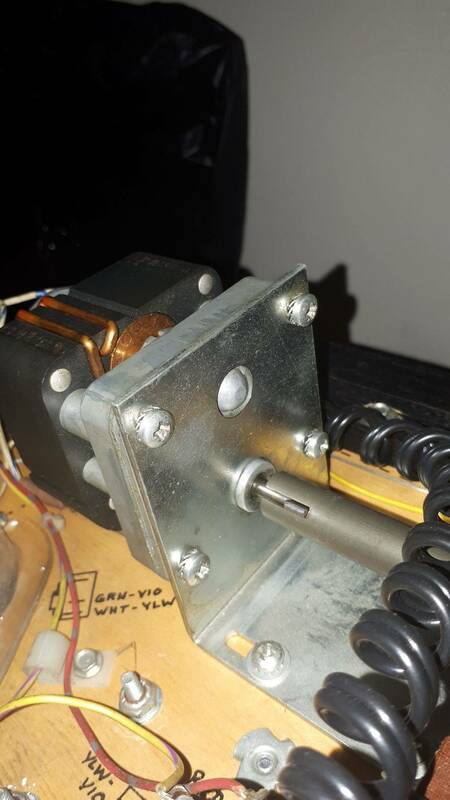 **Edit** I now see that there is no diode on the coil so wire orientation does not matter. Interesting! My hill rod motor is noisy as hell, too. Did the regreasing help? 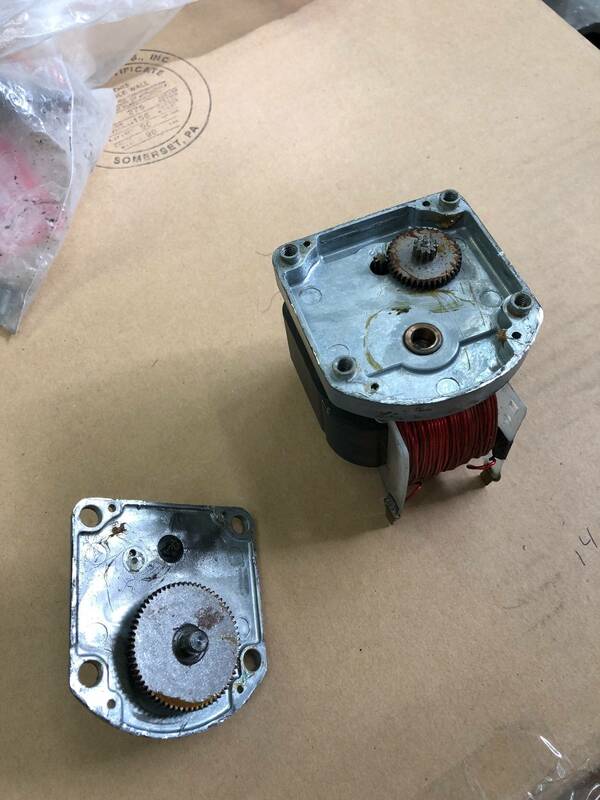 Also, how did you open the gearbox? Does it open by removing these screws? Joined the club last month when i picked up a very rough BR at the Games Sales Auction. This is my second time owning a BR and I don't intend on letting this one go! 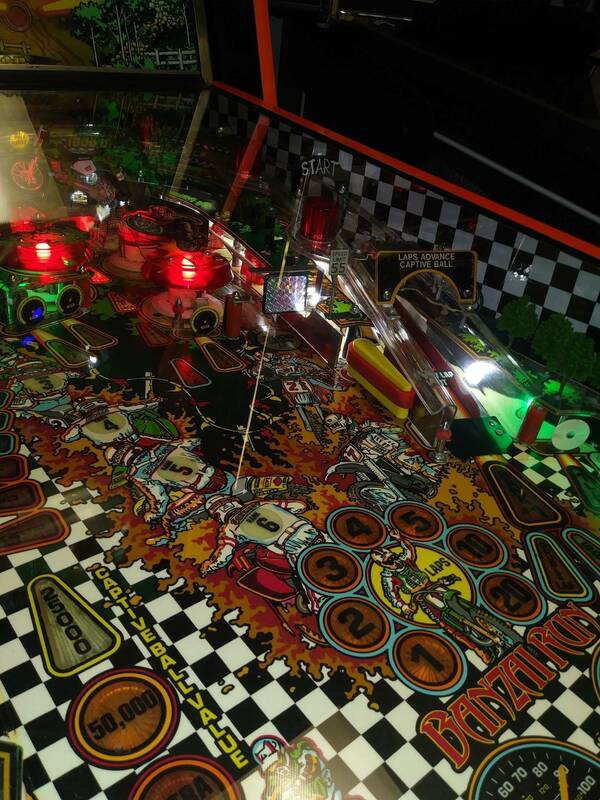 I too need the usual: upper playfield glass, plastic set, main ramp, and new playfield. 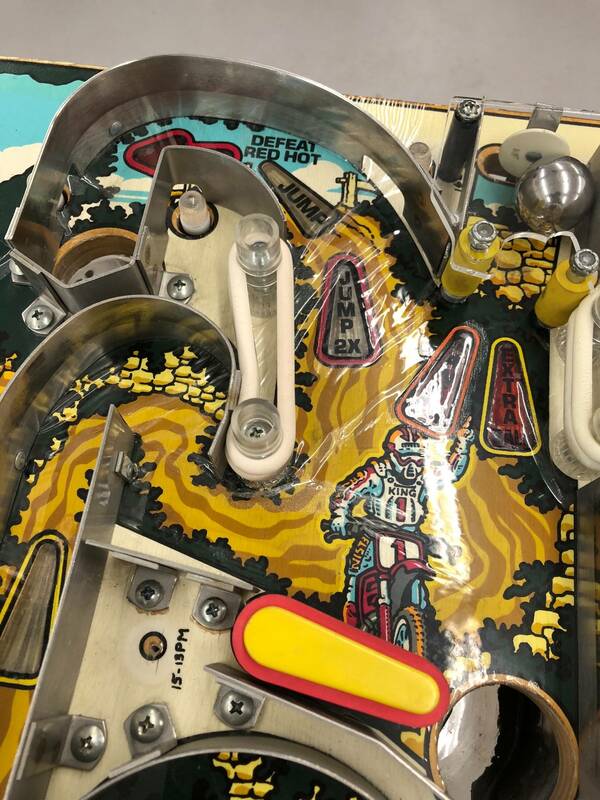 I think I read something recently, where CPR stated that they were going to be re-running the plastic set and upper playfield glass to coincide with the playfield release. I sure hope so! 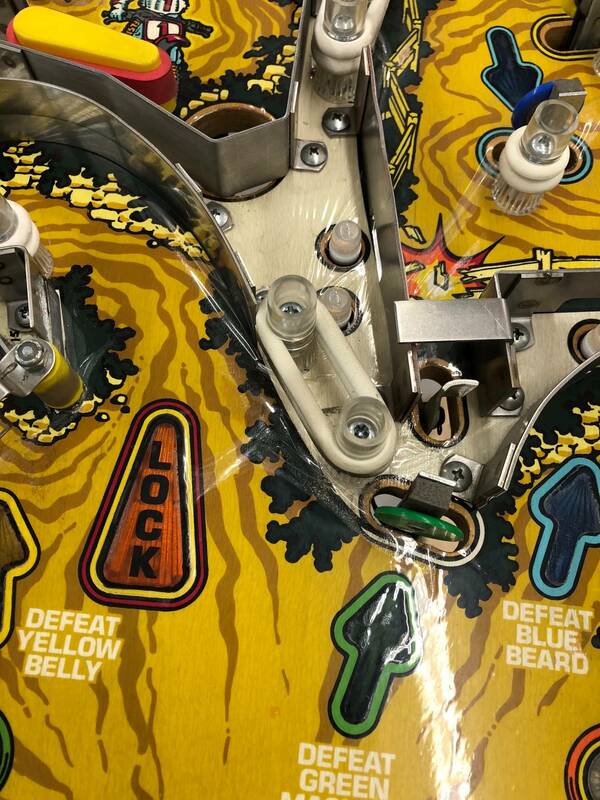 My machine is missing the upper playfield glass barrier molding. I reached out to Kerry Stair to make me one. He said that if there was enough interest that he would make some. Unfortunately, only one other person responded. 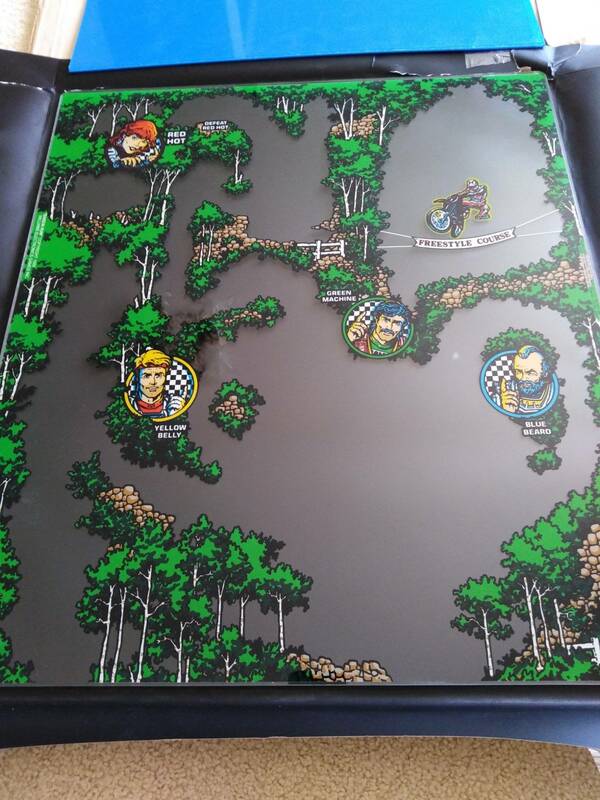 If anyone in the club would be so kind as to take theirs to a local fabrication shop and have some examples made, that would be fantastic! 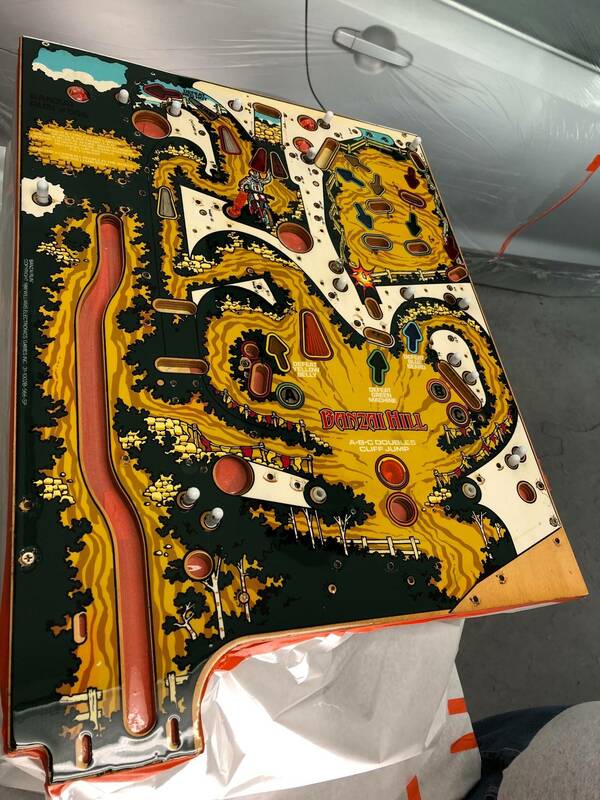 PinballTommy reached out to me recently and offered up a plastic set and a fully populated ramp, but we couldn't agree on a price. Unfortunately, I have way too many projects on the to-do list right now, so I have to budget for the pressing ones. 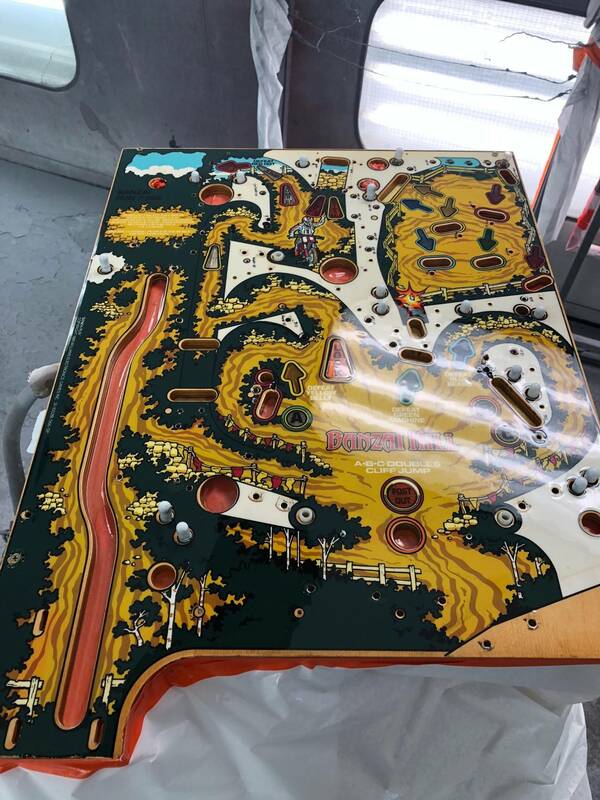 I am just about finished with a Scared Stiff restoration, ground up total rebuild! To make matters worse, I added two more machines to the fold that are going to need attention: Catacomb and Strato-Flite. I hope to locate the parts that I need, so that I can start on BR after the SS. Very thankful and happy to be back in the club! 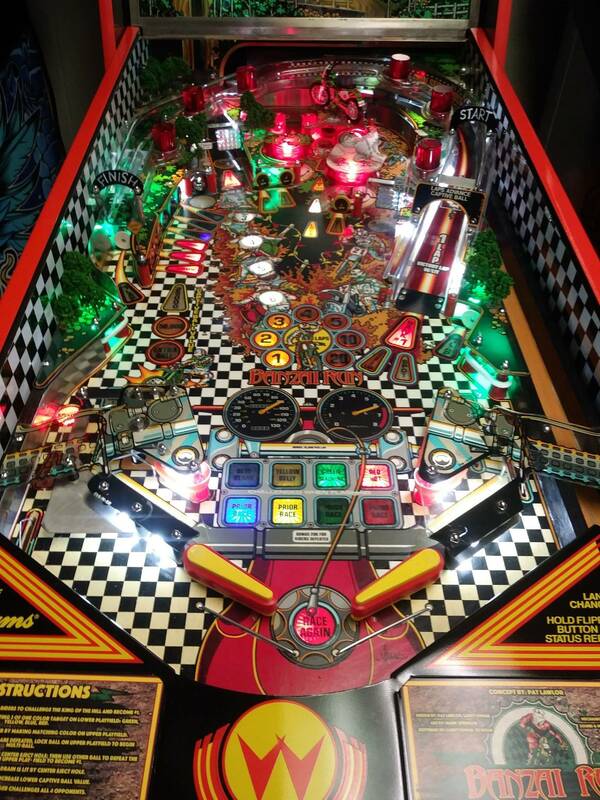 About to be released on Pinball Arcade and I am STOKED as I will probably never play in real life again! To those that have this game, you are very lucky, CONGRATS! 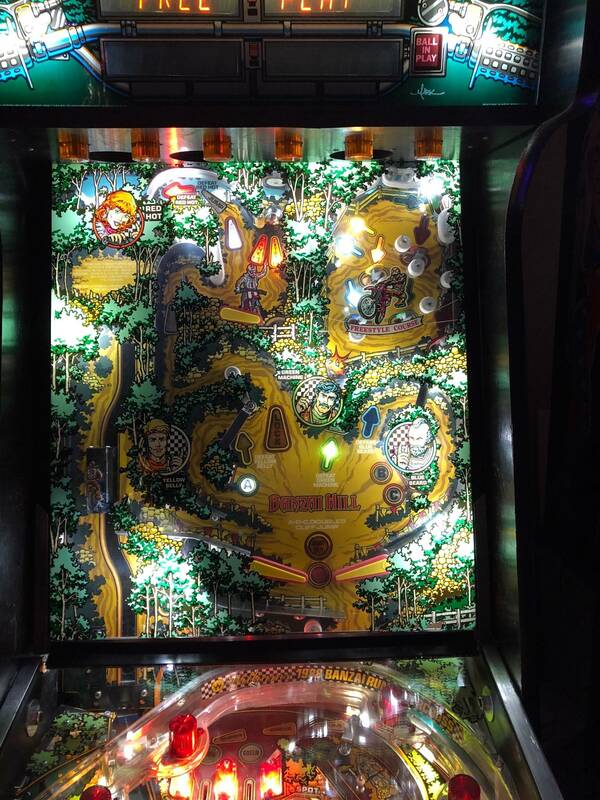 I played it yesterday on pinball arcade. The ball was doing some weird stuff on it. 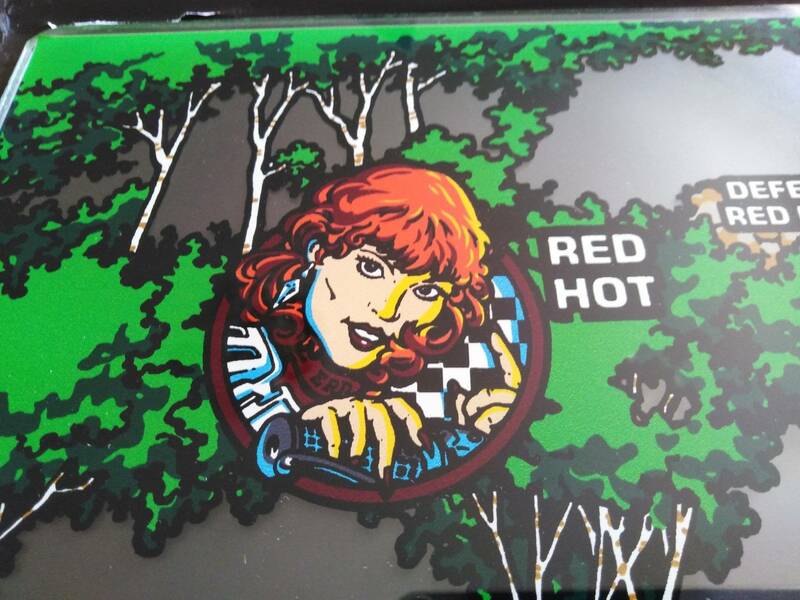 Oh that side art is awesome! Which company made it? Tilt? Pingraffix? And does it fit well? The red trim looks great too. I did the same with my Super Mario Mushroom World and was happy with the "Pop" it makes. Well I emailed Kerry also so one more to the list on the glass rail barrier. Needs More hands up to make it. This title Needs this often lost part. Please reach out and show an interest. I'm in on the glass rail barrier so add me to the list. I need some side rails if we can figure a way to get some made. Should be out by now, mate. My Steam account just updated my TPA version. Thats the one! 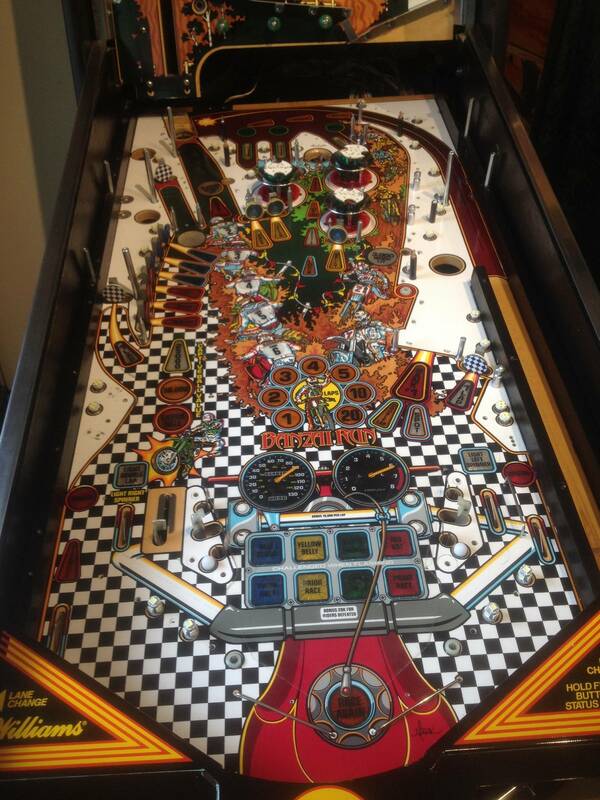 This specific game had a custom dual direction stainless steel glass rail to accommodate both the upper and lower playfield glass. Most operators threw it away as it is a bit of a pain to take it off every time. I had seen many rubber door strip variations but I was Really hoping Kerry or other could recreate the real deal. We need to make sure that everyone that needs this piece emails Kerry. You can contact him at: pinparts@mantisamusements.com, or 630-653-8900. I sure hope he makes this, as no BR owner that I know will go to a local fabricator and have some made. I know two owners personally and they are afraid that their piece will get damaged or lost. I’ve never even seen what it looks like. Anyone have some good pictures of it? If I had a sample or good detail I could easily fabricate this. As I am a stones throw away from Kerry I would even assist him on the project with the fabrication part if that swayed him to make even a small run. There are actually 2 pieces to this part. 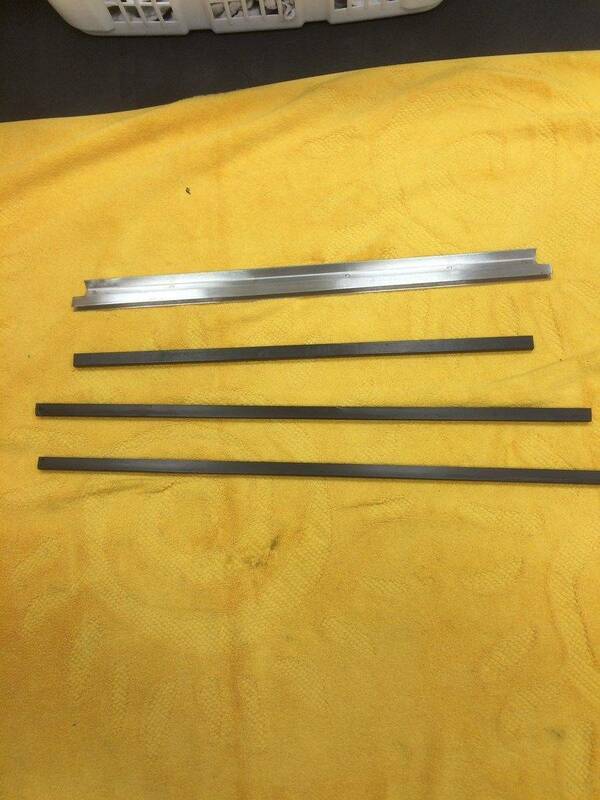 One is a stainless steel channel which will hold a flexible rubber seal about 2 inches wide. I can post a pic of mine if you would like. Here is what I borrowed from a thread, based upon Bryan Kelly's restoration of one. The top piece is the one in question. I don't have a picture of the lower one. Also, there is quite a demand for side rails.